Wash and clean Cucumbers. Peel the skin of Cucumbers and cut them into half longitudinally. Taste the Cucumber and its seeds separately. Before proceeding further to prepare the dish, first taste the cucumber for bitterness. Sometimes bitterness may be there in the seeds or in flesh or in both. If the bitterness is in the seeds, discard them and use the vegetable. If bitterness is in the flesh, choose another Doskaya. So do not to forget to taste them for bitterness. Separate the seeds from the Cucumber and take them into a bowl. We require the seeds while grinding. Chop the Cucumber into fine pieces. Wash, clean and cut the green chilies and keep them aside. Similarly break the red chilies into small pieces and keep them aside. Wash, clean and chop the coriander for garnishing. Heat a pan and add oil. When oil is hot add 3tsps black gram and fenugreek seeds. Fry them well till they turn golden in color. Then add mustard seeds and fry till they splutter. Then add green chili pieces and red chili pieces. Fry well so that the green chilies will not be hot when they are fried. Finally add asafoetida a pinch and fry. Your house will be filled with the nice aroma of the seasoning. Separate oil from the seasoning. Take the seasoned ingredients into a mixie jar. In the remaining oil add 2tsps black gram and fry till light brown in color. When they are fried add this to the chopped Cucumber pieces along with the oil. Take the mixie jar in which we took the seasoned ingredients and add tamarind to them. Similarly add salt and turmeric to the seasoning mixture and grind them well. Add the seeds of the cucumber and grind this seasoning. Add this ground paste to the chopped Cucumber and mix well with hand. Add some chopped coriander also and mix well. Transfer this to a serving bowl and garnish with the remaining chopped coriander. Some Cucumbers are sour. In such cases avoid tamarind. The pieces should be very thin—then the taste of the dish enhances. The dish should look good to eat. Serve this Pachhadi with hot rice and ghee. Naa peru Sudha. I got married in 2007 october and moved to the US immediately. Before that I never cooked regularly at home. I used to cook once in a blue moon! After I came here I started cooking everyday, as me and my husband are both against frozen or canned food and also against eating out often. 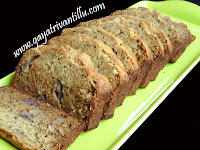 I came accross your website, when I was searching for dosakaya mukkala pachadi recipe and your website rocks!!!!! Awesome!!!. I told my mother also about your website. I showed her this yesterday when I was chatting. I just wanted to thank you for such a nice simple recipe. The good thing is all your recipes are so simple, healthy and most importantly, exactly the way my mother would make them at home. One more thing is I dont eat garlic myself and I feel your website is just for me. Thanks a lot for the great website. nenu motta modhati saari mee recipes lo dosakayi mukkala pachadi try chesaanu chaala chaala chaala baagundhi...meru cheppey vidhanam kudaa chaala baagundhi. wow..I tried making Dosakai mukala pachadi..it cam eout excellent..thanks a lot ..I love to see more tasty pachadis. Excellent recipes. Whenever I try to google for any recipes, your video option comes first. Your voice is so homely. I have made so many dishes with directions from your website and they all came out really good.....thanks for posting such a wonderful website with step by step instructions in the videos. Your dosakaaya mukkala pacchadi recipe is the best...The city where we live in california, we get dosakaya only twice in a year....and my first choice would be to prepare mukkala pacchadi with directions from your website. Gayatri garu congrats! I am big fan of your vantalu and the way you present is very homely.Your website is very helful to me. You are doing really great work. Your posts helps me a lot in my day to day busy life. Your cooking style is so traditional and healthy. I love it. I want to request you a few things.If possible only, please do it.My request is, Please post menu also like today Breakfast,Lunch and dinner menus or weekly menus also for busy working ladies.If you can do it,it is so helpful for busy working ladies like me. I am really thankful if you can consider my request. Great recipes. i like the detailed presentation in all your videos. thanks for the effort. Happy and safe Diwali to you and your family. 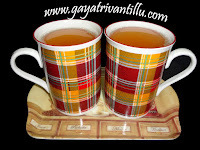 I am a new member to this site.recently i started cooking.am very excited to this site in telugu.Usually i will watch varevah and manjulas kitchen.. now am switched to this site.thanks for ur nice recipes and methods. Hi gayatri garu...nenu mee vantalni roju website lo choostuntanu..okasari meeku mail kooda ichanu...nenu US lo unatnu...maa variki sambar ante ishtam...kaani adi eppudu naaku manchiga kudaradu...meeru okasari SAMBAR chesi mee website lo unchutarani aashistunnanu.Mee dosakaya mukkala pachadi chala chala bagundi(dats my fav one)..